Lifelong artist and illustrator Peyton Hamilton Carmichael works in watercolor and oil, specializing in realistic, highly detailed paintings. An Alabama native, she creates her award-winning portraits and elaborate floral scenes in her studio, housed in a historic Greenville, Alabama, home. Named “Hamilton,” the house was founded by Carmichael's great-grandfather, who was a surgeon in the Civil War. Carmichael's strong identification with her family history has been a source of inspiration since childhood. 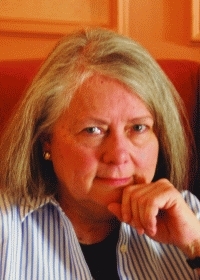 A member of Phi Beta Kappa, she received a bachelor of arts degree from the University of Alabama. She has been the recipient of the Silver Bowl Award for Literature at the Birmingham Festival of the Arts and has displayed her work at the High Museum of Art in Atlanta and the Birmingham Museum of Art. Her work has also been shown at the Artexpo at the Javits Convention Center in New York, and in galleries throughout the mid-Atlantic and northeastern United States. She was also a guest artist at the Swan Ball in Lexington, Kentucky. She is working on a series of graphic adventure novels for children. Carmichael is qualified by the School of Theology at Sewanee as a mentor in the Education for Ministry program and is also a Stephen minister. She is the mother of three adult children and has two grandchildren. She divides her time between painting at her cherished family home in Greenville, Alabama, and living in Birmingham, Alabama, with her husband. 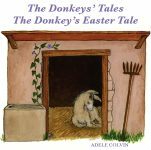 Inspired by Scripture, these tales present Jesus’ complete life story as witnessed by a very blessed family of humble donkeys. Two original songs enhance this touching and moving account of Christ’s life, narrated over a delicately orchestrated musical setting. From Christ’s birth and childhood to his ride into Jerusalem on Palm Sunday, the Last Supper, Crucifixion, and glorious Resurrection, the life of Jesus is celebrated here by the modest animals who share the true meaning of what it is to love and serve him.